Following on the heels of his New York Times bestselling novel Telegraph Avenue, Pulitzer Prize-winning author Michael Chabon delivers another literary masterpiece: a novel of truth and lies, family legends, and existential adventure—and the forces that work to destroy us. From the Jewish slums of prewar South Philadelphia to the invasion of Germany, from a Florida retirement village to the penal utopia of New York’s Wallkill prison, from the heyday of the space program to the twilight of the “American Century,” the novel revisits an entire era through a single life and collapses a lifetime into a single week. 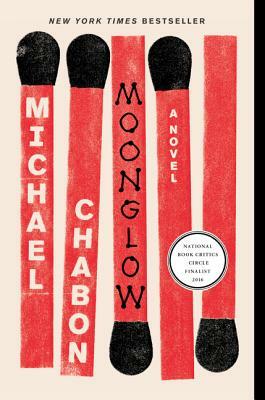 A lie that tells the truth, a work of fictional nonfiction, an autobiography wrapped in a novel disguised as a memoir, Moonglow is Chabon at his most moving and inventive.